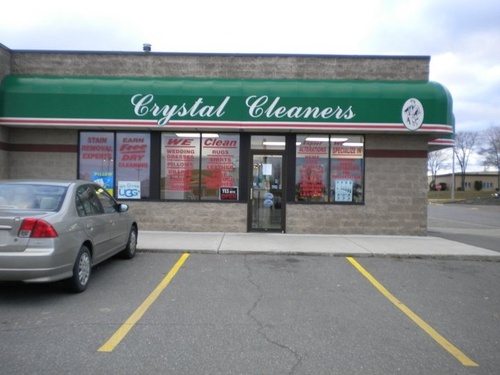 Rick and Susan Bricker moved to the Brainerd area in 1986 and purchased Crystal Cleaners after the Dry Cleaning business that Rick worked for in Minneapolis was closing to make room for the Target Center in Minneapolis. Rick brought the experience of cleaning the clothes of the stars to the Brainerd Area. One example Rick remembers cleaning the clothes of musican ''Prince'' and his Purple Rain outfit. Rick began apprenticing after serving in the US Army and has developed a deep knowledge and We provide a variety of services for you. All of our services come with a 100% money back satisfaction guarantee. We will match any competitors' offer. All items are dry cleaned on location at local stores utilizing state-of-the-art environmentally friendly dry cleaning equipment.